The topic of today is about Lyme Disease, which, specifically, needs to be addressed in an integrative fashion. Those of you out there who have Lyme Disease or know people who do have Lyme Disease, know that the traditional conventional way that medicine approaches this is truly ineffective unless you catch it very early in the infectious stage. If you can diagnose the condition in the first month or so, then antibiotics can take care of it. After that, if it goes longer, you could be in trouble with chronic Lyme Disease and the integrative medical approach to chronic Lyme Disease is definitely the way to go. The integrative approach to Lyme Disease treatment, which of course includes antibiotics, brings three additional components into the therapy that you need to learn about and that’s why we’re here today. Before we get into explaining precisely what the integrative approach is, it’s important to understand why the integrative approach is important to take. As you know, we get Lyme Disease through a tick bite. It used to be just in the Northeast, but now it’s spread all over the East and the West Coast. It’s very difficult to detect the tick when it bites you because mainly it’s the small nymph tick, which is a tiny little guy that’s so hard to detect, that it’ll bite you, infect you, and fall off before you even know it. 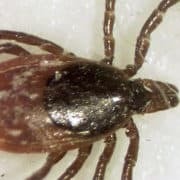 50% of the people who have verifiably the Lyme Disease never even knew they were ever bitten. The tick is so small. It bites them, infects them, feeds on them, and falls off before they even knew it. They never even get that rash that is characteristic of some people who get the Lyme Disease and they may carry the infection for years before suddenly all those horrible symptoms descend on them like an avalanche of bad news. The symptoms that come with Lyme Disease are so varied that they can mimic a dozen different types of diseases. A person that’s carrying that Lyme infection for a very long time, not knowing that they are infected, can develop a whole kind of a nasty club of what we call ‘co-infections’ – these are other microbes that get in on the party and make the person miserably sick with a whole variety, a wide spectrum of symptoms, that are truly devastating. It’s so bad and it can mimic so many different symptoms or diseases that Lyme has earned the moniker of the ‘Great Imitator’. The bottom line is… If you didn’t detect it early and you’ve now developed chronic Lyme Disease with all these multiple co-infections that give you this wide variety of symptoms, you’re in trouble and the conventional way that medicine approaches this is no longer going to be effective. The disease and the infections are now so deeply ingrained in you that you need help beyond antibiotics. 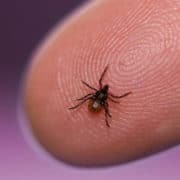 As most of us know, the primary way of getting Lyme disease is through a vector or through the bite of a tick. However, that’s not the only way. We are now finding out scientifically that there may be other ways of getting it. First and foremost, there are indications that different kinds of insects do carry the Borrelia spirochaete. It doesn’t mean that they transmit it, but it’s possible so stay tuned as that news unfolds over the next few years. 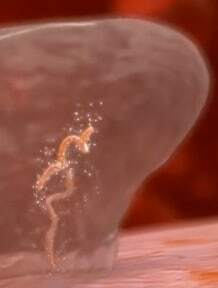 The condition that I’m most concerned about is the fact that the Borrelia spirochaete has been found in human ejaculate and also in vaginal secretions. Now, that means of course that sexual contact could be a conduit for getting the disease. It has not been clinically verified that it could happen, but it’s a good thing to keep watch on that and checking with your partners whether or not that’s something you need to be concerned with. I don’t want you to panic about this, but obviously, if it’s a possibility and you care for your partner, you love your partner, it’s something you need to be cognizant of. We do have patients in our clinics who swear that that’s how they contracted the disease. 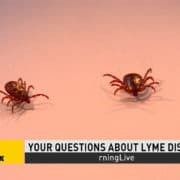 Again, given that that little tiny nymph tick is the primary way that people get Lyme, it’s very likely that they got Lyme from a tick and didn’t know it. Most importantly here is that you cannot get Lyme from casual contact with your friends and relatives and people you work with. Why is Lyme so hard to detect? Why does it even become a chronic Lyme Disease type of syndrome which is so devastating? There are a number of different things about this very stealthy spirochaete you need to know about. There are 10 major ways that the spirochaete Borrelia have of evading conventional medicine. I’m not going to get into the details of those right now, but what’s important for you to understand is that ozone and hyperbaric oxygen can take up the slack where antibiotics don’t work. For instance, the Borrelia spirochaete can change its structure of its cells so that your immune system can’t recognize it. Well, guess what? The Borrelia is not immune to ozone. Ozone, that tiny little O3 molecule, can go wherever the Borrelia goes and can penetrate those cell membranes and kill that Borrelia where it is. 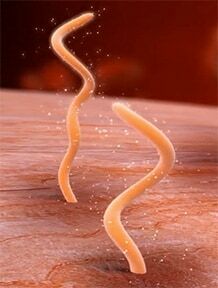 The Borrelia spirochaete looks like a corkscrew and can essentially drill into our tissues and bury itself where antibiotics have a hard time going. Well, the ozone molecule is a tiny little O3 molecule and can penetrate every single tissue and every single cell in your body. It can find that Borrelia wherever it’s trying to hide and kill it. Another one of those stealthy mechanisms that pathological bacteria like Borrelia can use is the creation of something called a biofilm. That’s a gelatinous kind of sludge that they create and hide in. Immune cells can’t penetrate this sludge, nor can antibiotics, so it protects the Borrelia. On the other hand, ozone can penetrate the sludge and dissolve it away, making the Borrelia susceptible to antibiotics and immune cells and of course, the ozone also attacks the Borrelia directly. Another thing that Borrelia can do is it can drill into our cells, actually hide within our cells and become what we call an intra-cellular parasite. Well, guess what? Ozone can also penetrate right through the cell membranes and not only is it healthy for our normal cells, but it will kill the Borrelia inside our cells. This is particularly important for those who are suffering from major brain fog. The Borrelia has managed to get into your brain tissues and the ozone can penetrate into your brain and not only, again, is it incredibly healthy for our normal cells, it will kill the Borrelia wherever it hides. It’s like that old adage, it can run but it can’t hide from ozone. In this regard, the hyperbaric oxygen therapy is also very important. You get into this chamber, you are pressurized with normal air and inside the chamber you are breathing, through a mask, pure oxygen. The pressure causes the oxygen to be infused throughout your entire body and every cell and every tissue and every nook and cranny of your body. Incredibly healthy for your body to be oxygenated that way. Every organ is going to dance with delight for all that oxygen. But guess what? Borrelia doesn’t like oxygen. It’s an anaerobe, it prefers an environment with a lack of oxygen. So, the oxygen is not only incredibly healthy and supportive of all your systems and all your organs, it is in fact, a direct opponent to your Borrelia infection. It helps you to kill it. Now, as you may know, the Borrelia spirochaete can also hide in what’s called a ‘persister state’ or like a cyst where it becomes kind of impervious both to our immune system and to antibiotics. Well, once again, guess what? Ozone isn’t constrained by its cyst state and can kill it even in this cyst state. A lot of you may be asking, well, why not antibiotics? Well, as a matter of fact, many people who have been suffering from Lyme have been on long-term antibiotic therapies, sometimes for years. Trust me on this, long-term antibiotic use is not healthy, not good for you and doesn’t kill the Borrelia for all the reasons that I just mentioned previously. What do you do about that? First of all, stop the long-term antibiotics. First and foremost, you have to find a physician who is an integrative physician that understands this concept and can use antibiotics differently. In pulses, for instance, where they have antibiotics for a little bit of time and then no antibiotics for a while where they use other therapies and again antibiotics for a little bit of time – they alternate them back and forth. The long-term use of antibiotics will not only kill bad bacteria in your body, it will kill all the good bacteria in your body. We have many strains of good bacteria in our body that are essential to the proper functioning of our physiology, especially in our GI system – in our gut. If you kill that stuff, the good stuff, you won’t be able to digest properly. 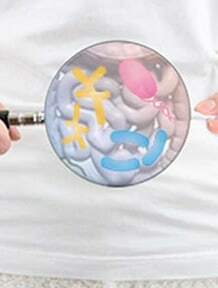 Remember that 70% of our immune function is located in our gut. If you mess up that biome in there, if you mess up the landscape in there, then guess what? Your immune system isn’t going to be working properly and you need a strong immune system in order to deal with the infection. That’s one of the reasons that chronic Lyme Disease is so devastating; it runs your immune system down with all those co-infections to the point where your immune system is no longer functioning right and the disease or the infection and all the co-infections basically have free reign to wreak havoc in your body. Another reason that ozone is so important is because of the effect that antibiotics have on all of your healthy cells. Antibiotics hurt your mitochondria. Mitochondria are the energy-generating powerhouse of every cell in your body. 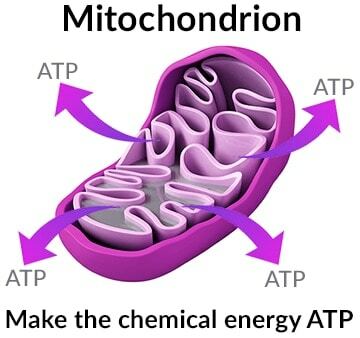 Your mitochondria are the little organelles that process the oxygen that you breathe in along with the food and create the ATP, the fuel, that every cell in your body needs. Well, guess what? Long-term antibiotics definitely negatively affect and degrade your mitochondria. On the other hand, ozone is the single most powerful natural stimulant of mitochondrial function and health. Not only does ozone go after the Borrelia and kill it in all the places where antibiotics and your immune system can’t function, but the ozone increases the mitochondrial function of every cell in your body and, therefore, really boosts your immune system. Keeps you healthy, boosts your immune system, and goes after the Borrelia. That’s kind of a trifecta, it’s a good thing. Last but not least about ozone. Ozone has a direct effect on your red blood cells. It increases their metabolism and increases your red blood cells’ ability to carry oxygen and deliver it to all the tissues in your body. Remember, none of your cells can work without oxygen and oxygen is one of those things that the Borrelia spirochaete and lots of other infections don’t like. You definitely want to be using the ozone to boost your oxygen capacity. One of the most important elements of the horrible symptoms that people get with chronic Lyme Disease, something that’s very important for you to understand, is it’s not the pathogens directly causing the symptoms, it’s the endotoxins that they release. These are biotoxins, endotoxins, neurotoxins that they release that wreak havoc in your body. Most of the nervous symptoms, the peripheral neuropathy that you may be having, which could be, by the way, for those who don’t know, incredible pains in your legs and your arms and numbness and tingling in your feet and hands and things like that, are caused not by the pathogen directly but by the endotoxins that they release. Even when you’ve successfully killed the pathogen, you may still have endotoxins cursing through your system that are causing the horrible symptoms that you are still dealing with. Therefore, part of the therapy necessary for curing chronic Lyme is the detoxification of all those endotoxins. By far, the best way to detox from those endotoxins are herbal remedies. In addition to the endotoxins, your immune system’s response to the endotoxins is to release a whole cascade of different cytokines. Cytokines are very important in your immune system’s ability to function, but when the immune system is messed up and out of balance and over-reactive to all those infections that you have, then they’ll produce too many cytokines and you need to deal with them as well. The only healthy way to deal with an overproduction of cytokines is the up-regulation of your own genes that deal with cytotoxin toxicity and all the inflammation that, that causes. By far, herbal remedies such as CBD, such as DIM and other ones that do up-regulate the genes that deal with that is the way to go. We have another video on CBD and how it works and how it activates your endocannabinoid system which will deal with those systemic inflammation symptoms. 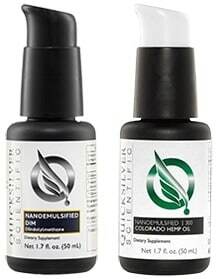 By the way, the best way to get herbal remedies and different nutritional remedies as well into your system is through sublingual liposome administration of those very important substances. You squirt them under your tongue and it gets directly into your bloodstream and through your body where you need them. In conclusion, if you have chronic Lyme Disease don’t despair. There are ways of really taking care of you and taking care of your health and well-being through an integrative medical approach to Lyme disease treatment that really does work. Find a good integrative doctor in your locale. Probably an MD that works with a naturopath, that’s the best combination we’ve ever found. Even if there isn’t one local to you, it’s worth traveling to find one. I hope this has been helpful in getting you oriented to an integrative approach to healing your Lyme Disease and bringing your body back to its full strength and vitality. If you have any questions, please email me, I will definitely address them and answer them as soon as I possibly can.